David Maxfield is a coauthor of three New York Times bestsellers: Crucial Accountability, Influencer, and Change Anything. He serves as vice president of Research at Vital Smarts, a corporate and personal training company that focuses on organizational performance and how people behave. Maxfield completed doctoral work in psychology at Stanford University. 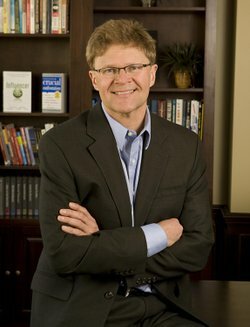 He has taught at Stanford and Brigham Young University in the Marriott School of Management. At BYU he received the Motorola University’s Distinguished Teaching Award and at Stanford, the Dean’s Award for Innovative Industrial Education. His article, “How to Have Influence” was awarded the 2009 Richard Beckhard Memorial Prize for the most outstanding article on planned change and organizational development and the Change Management Article of the Year. He leads ongoing research projects uncovering the negative impact of cultures of silence in organizations around the world. He is also a keynote speaker and consultant to the Fortune 500. Maxfield is a member of The Church of Jesus Christ of Latter-day Saints. This page was last edited on 30 June 2015, at 16:47.